For foreigners, buying a house in Thailand may be a good investment. The cost of living in this country is lower than in most western countries, and houses are also sold at lower prices. However, buying a house is not very simple, if you are a foreigner. 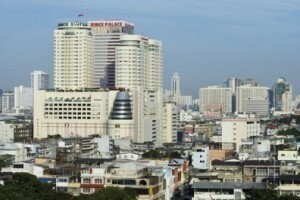 Thailand is an attractive destination for people who want to invest in real estate. It is also a popular destination for retirees. Foreigners are attracted by low prices, but they often get confused by misleading and contradictory information they find on the Internet. To find reliable information, you will need to read the Thai law , but it will be wise to consult an expert. Thai land law does not allow foreigners to own freehold land. However, there can be exceptions. A foreigner can choose some other way to get legal rights to real estate and land. Non-Thai citizens cannot own land in this country, but can hold 100 percent interest in land leases. Thirty years is the maximum lease period. However, the lease can be renewed for another thirty-year period. The law allows non-Thai citizens to buy land, based on a 40 million baht investment, for 5 consecutive years. You will have to use the land for residential purposes only. The companies registered in Thailand (if majority ownership is Thai) can buy land in the country. Foreign nationals can be minority shareholders in Thai companies, and this allows them to acquire interests in real estate in Thailand. If you are a foreigner, and have a Thai spouse, he/she can buy land for you. Still, the couple will be asked to visit the Land Department and sign the declaration, stating that the funds belong to the Thai spouse. In case of divorce, this can cause certain problems. In such cases, it will be wise to have a prenuptial agreement. A usufruct can be defined as a right to use land, but this right can’t be transferred. Foreigners can buy houses and buildings in Thailand, but not in their own names. That is why many foreigners choose to register their own companies in Thailand. You should not do anything without talking to a good lawyer! This process can be complicated, and in some cases, it can be illegal. You can visit some of the expat forums to find out more about the common problems with buying property in Thailand. For more information, visit Thai Real and House in the Sun.